The KDE team today released KDE Plasma 5.15.4, introducing many new features and improvements to this popular GNU/Linux graphical desktop environment. 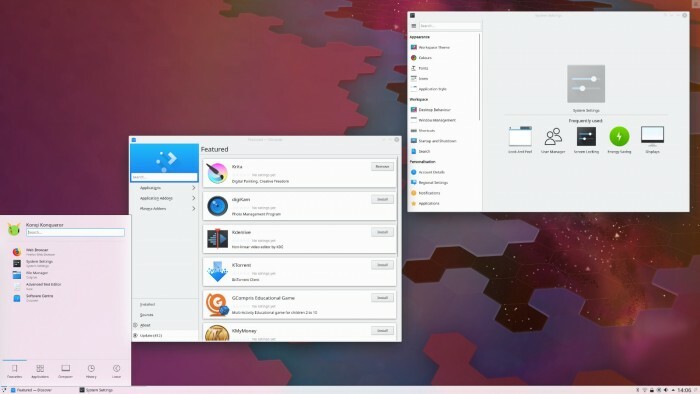 After six months of development, the Plasma 5.15 desktop environment has undergone many improvements, including a new configuration interface, new options for complex network configurations, redesigned icons, improved third-party technology and application integration, and a greatly improved Discover, Plasma’s software and add-on installer. Ignore source packages when adding them to the PK list. Commit. Fwupd: No need to make the code hard to read for no reason. Commit. Kns: wallpaperplugin.knsrc comes from plasma. Commit. Fix warning, don’t catch object we don’t need. Commit. Fix –categories with delayed categories. Commit. Use Attica forwarding headers. Commit. Harmonize use of #if and #ifdef, using #if everywhere. Commit.